Today Nintendo announced that the 3DS eShop just got a new $2 game called 2048, by a developer named Cosmigo. 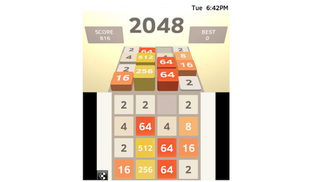 Cosmigo's 2048 is a copy of Gabriele Cirulli's open-source 2048, which itself is a clone of a game called 1024, which is, of course, a clone of the stellar iOS game Threes. Every video game has clones, but how often does the clone find more success than the game it copied?